Under account settings you can specify a number of system wide defaults that will be used in the absence of custom event ones. These include settings for both emails and MMS messaging. Email preferences store default settings for everything related to email messaging. You can specify any of the following settings with a default. 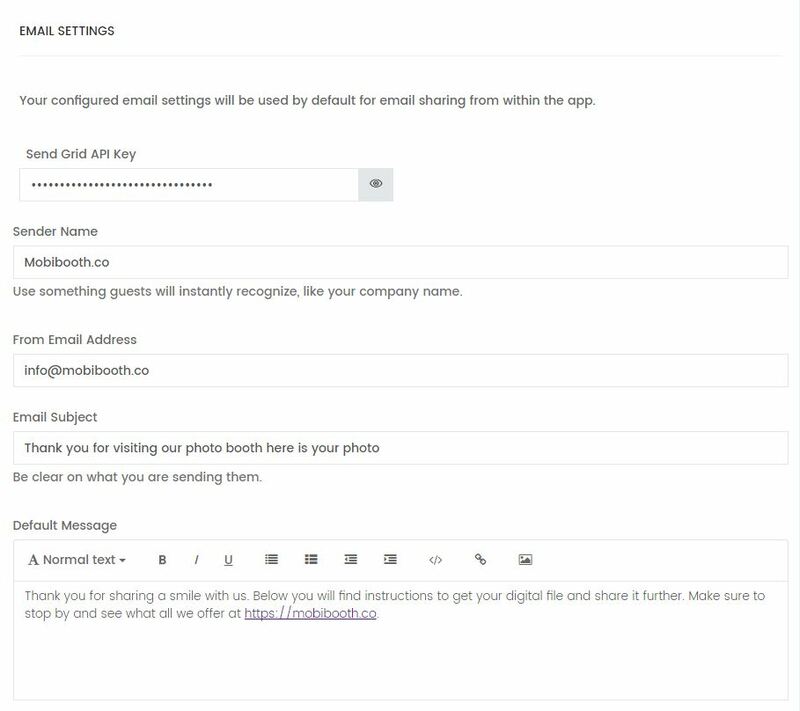 Send grid API key: by default Mobibooth Cloud™ uses our own servers to send email shares. But if you would like you can use your own SendGrid account by specifying your own API key. See sendgrid.com for signup and details. Sender name: specifies the default sender name that will appear in the sender’s column of your guest’s inbox. From email address: specifies the default email address to send email shares from. Email subject: specifies the default email subject that will be used when sending email shares. 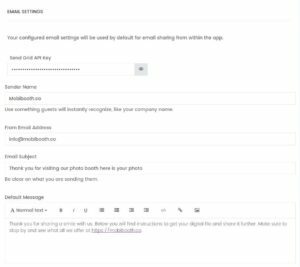 Default message: specifies default HTML email body to use when sending email shares. MMS settings store default values for everything related to MMS (text) messaging. You can specify any of the following settings with a default. 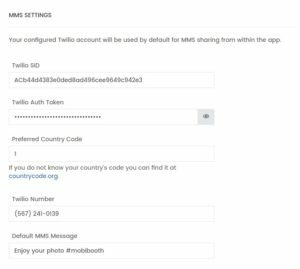 Twilio SID (required): specifies the Twilio SID from your account. 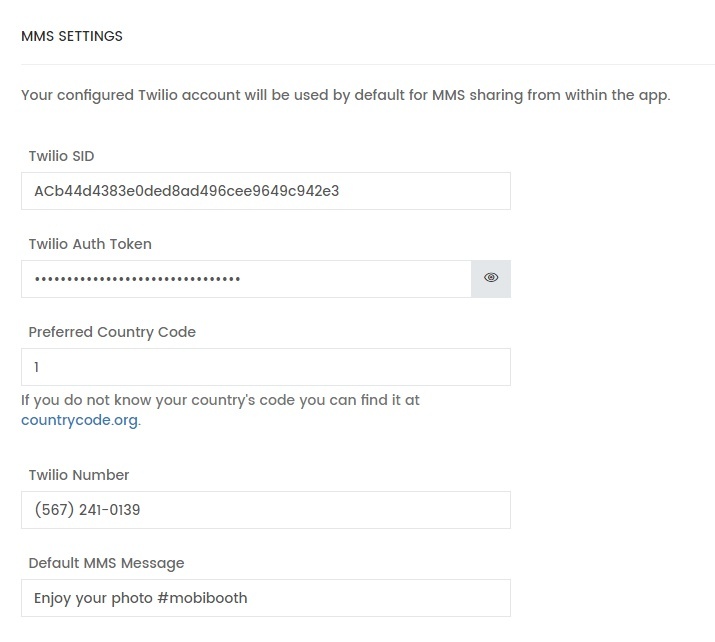 Twilio auth token: specifes the Twilio Auth Token from your account. Preferred Country Code: specifies the country code for number. If you do not know your country’s code you can find it at countrycode.org. Twilio number: specifies your Twilio number. Default MMS message: specifies the default MMS message that will be used when sending MMS shares.